In May I was honored to be a part of a very exciting seminar. Dori Pulse, a friend and fellow ministry partner, hosted a Step Family RX Seminar in Eau Claire WI. It was a day full of great speakers and I walked away with a renewed passion and head full of excellent information. Being in a step family is full of challenges. When Jon and I blended our families there were a lot of bumps along the way. So much so that we sought out any information we could find and we soon developed a ministry specifically for blended families. Our story was a success story but statistics are very clear that the divorce rate for 2nd time marriages are up to at least 76%. This is a daunting figure. It absolutely should grab our attention to make sure we give remarriage our full attention. That is why attending a seminar like this is so important. When Jon and I were doing premarital counseling we would encourage all our couples to commit to attending one marriage seminar/retreat a year. We have learned that unless you are intentional about doing it right, our human natures take over and we slip back into old patterns. Attending something like this gives you the tools to make improvements and encourages you to set aside time to refocus your attention to the relationship that truly matters the most. This usually does not come naturally. We need to continuously be open to learn more. 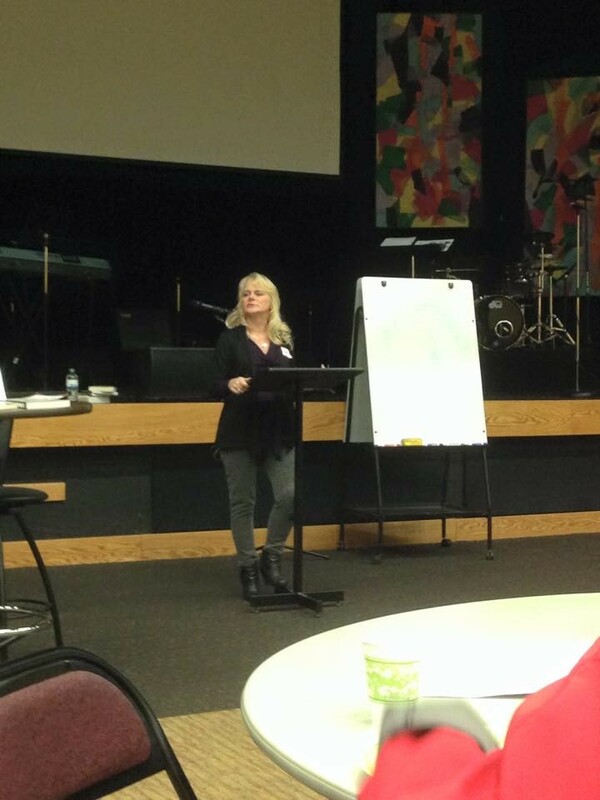 There were 7 speakers including myself that shared from their hearts. From Dori being a wonderful MC to a Licensed Family Counselor to Grandparents. There was so much excellent information. 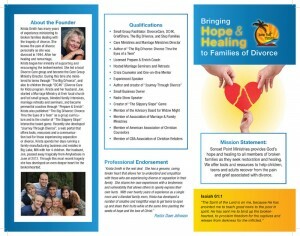 I began by explaining how the definition of family changes for our children once a divorce takes place. Then I shared numerous examples and gave many tools on how to be intentional parents to help rebuild the step family unit. It was a wonderful day, met some new wonderful friends and hope to return on October 10th for the next Step Family RX conference. If you want more information about the upcoming conference please contact me.